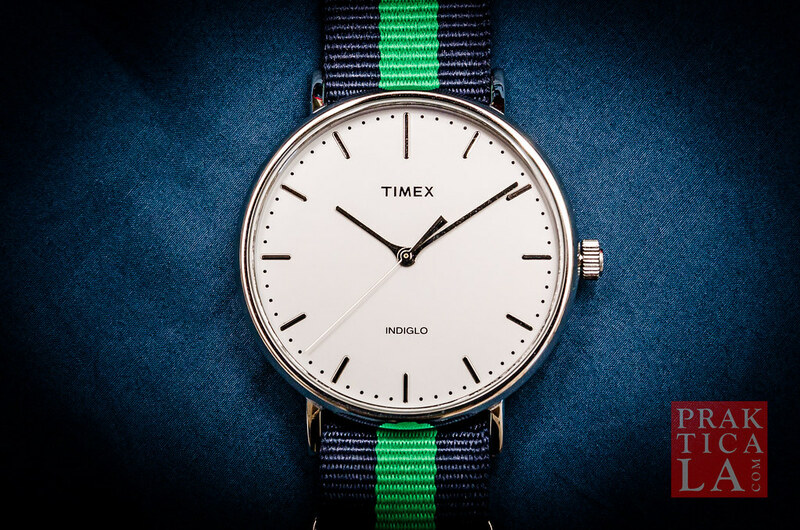 The Timex Weekender is available in countless variations of color and style, but can always be identified its battery-operated quartz movement, analog dial, and casual, field-watch styling. Straps are interchangeable and almost always nylon (though they come in leather as well). 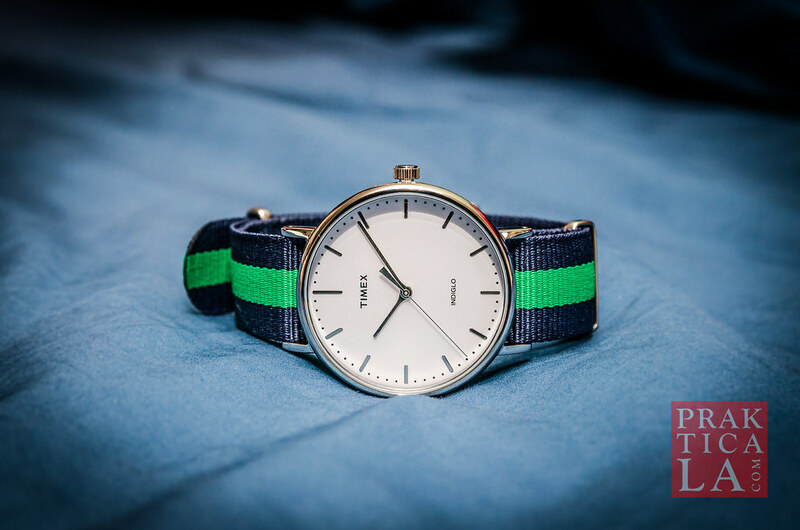 The Timex Weekender Fairfield watch shown here has a striped NATO nylon strap, brass case, mineral glass, and white dial sans numerals. Despite losing bragging points for not being automatic, the Weekender boasts some notable advantages. Being battery operated, the watch is maintenance-free for as long as the battery lasts, so you don’t have to constantly wind it to keep the movement running. You also get Timex’s famous Indiglo feature, which lights up the entire face for easy reading in low light. The quartz movement is lighter and thinner than a typical automatic movement, so you’ll barely feel the watch on your wrist. It’s extremely accurate; as cool as automatic watches are, they’ll never match the accuracy of even an inexpensive quartz watch. The Fairfield comes with a polite 30 meter water resistance rating – it’ll survive a splash in the rain but don’t take it deep sea diving. 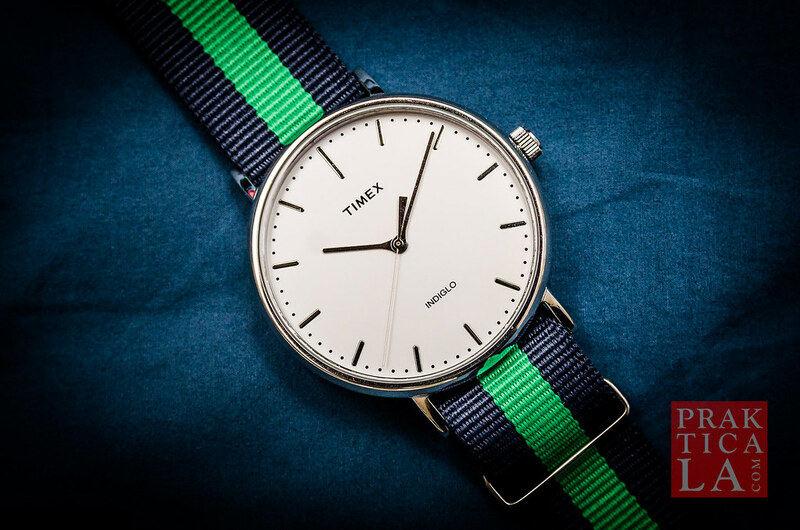 Though the Fairfield is inexpensive (it retails for $60 and many other Weekenders can be found in the $20-30 range), Timex has done a fine job of keeping the look classy and sharp. 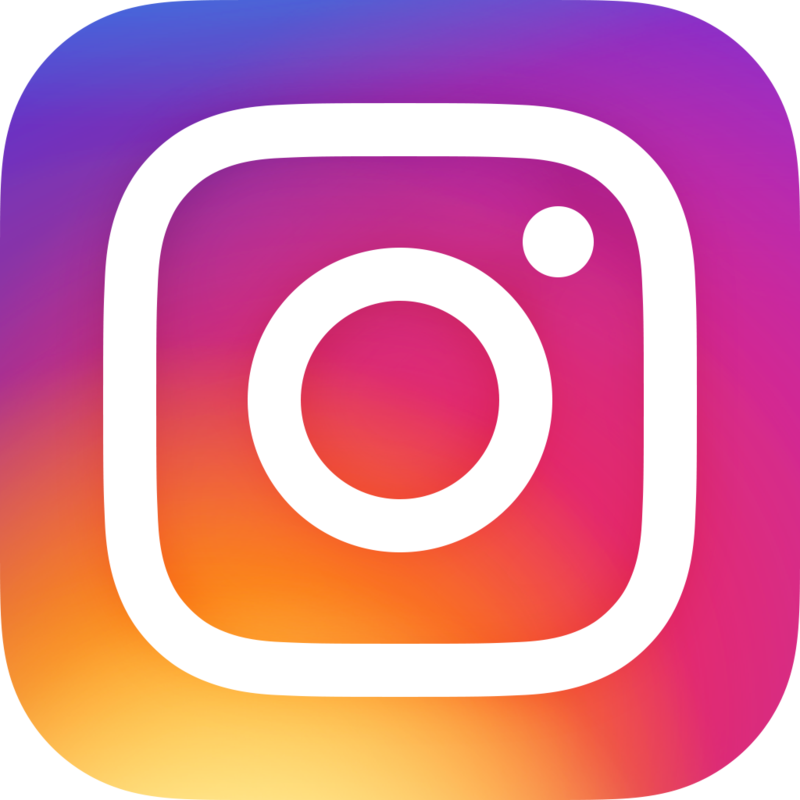 Super clean and quite versatile for most settings other than formal. You could wear it to work in a business casual environment, or to the beach on the weekend (hence the name). For further versatility, many people buy a few different Weekenders (they’re cheap enough) and mix and match the cases and straps. Two or three of each will give you plenty of variations to cycle through. The simplicity of the Fairfield’s design means there aren’t a lot of nooks and crannies to hide dirt and dust, so the Fairfield is easy to keep clean and maintain. 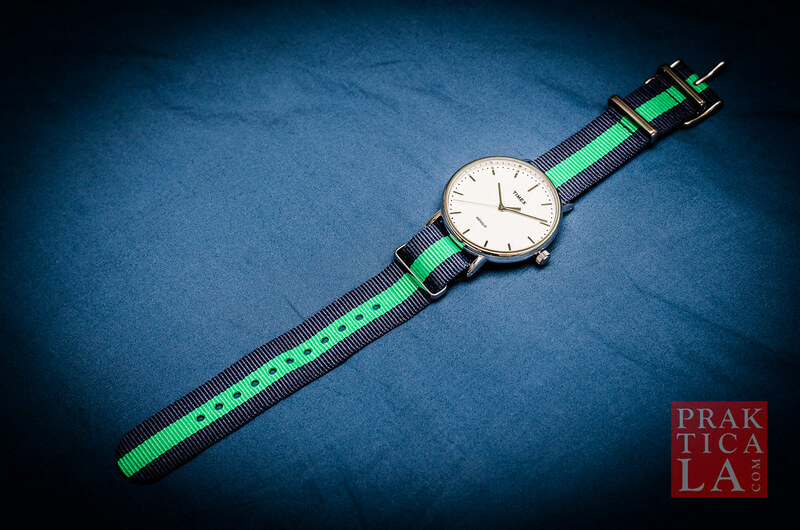 The NATO strap can be cleaned in seconds with a little bit of warm water and mild soap. PROS: High value to cost ratio, inexpensive. Interchangeable components offer versatility. Functional, stylish, virtually maintenance-free, other than battery changes. CONS: Not suitable for more formal occasions. Can’t show off your automatic movement like a snob. 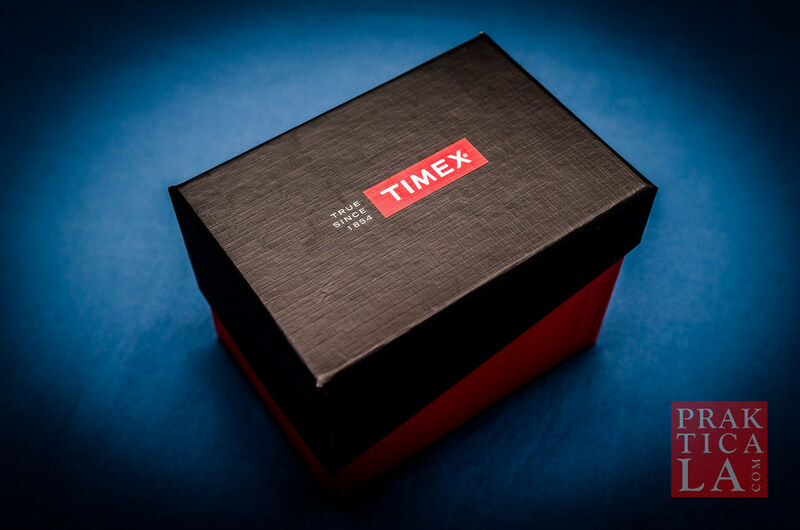 The Timex Weekender Fairfield watch comes in a “mass-market” box rather than fancy-pants packaging, which saves you money. It has reliable quartz operation instead of a more expensive automatic movement. It doesn’t cut corners in regards to quality and style. 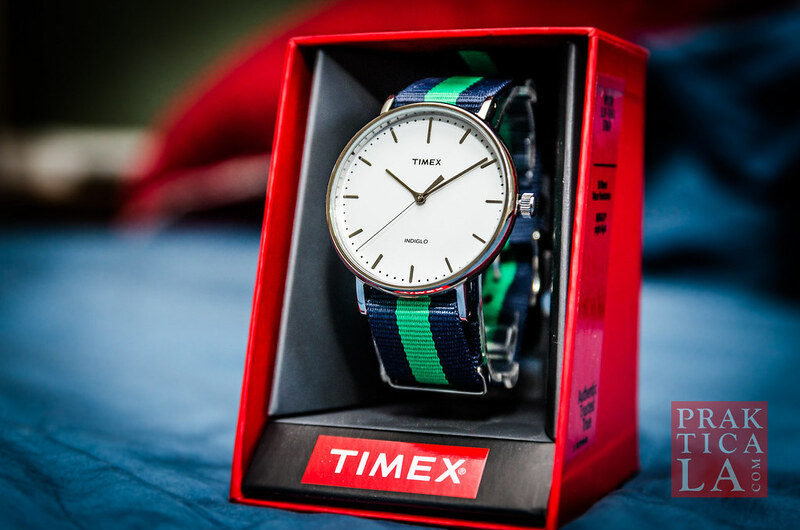 And perhaps most importantly, the Timex brand lets people know you have a respect for both value and reputation, and aren’t gullible enough to blow your cash on some ridiculous, overpriced fashion watch. The Timex Weekender Fairfield is cheap enough that you finally have no excuse not to wear a watch. And you definitely should be wearing a watch. More on that another time. You can get the Fairfield watch here. You can also see more Timex Weekender watches here. Do you have a Timex Weekender Fairfield watch or something similar? Let us know your feedback below!